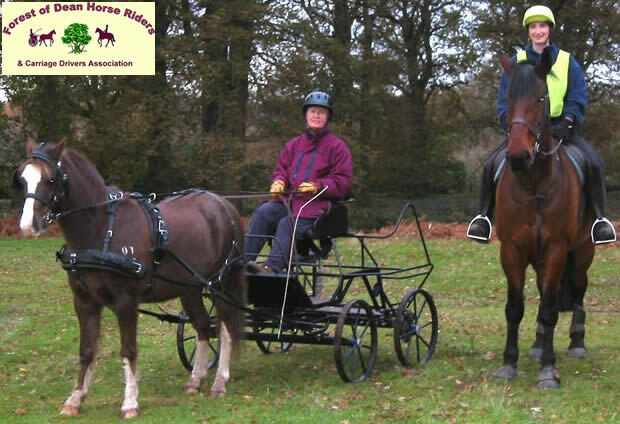 The Forest of Dean & District Horse Riders' and Carriage Drivers' Association is working with The Trails Trust and other partners to improve the bridleway network in the Forest of Dean District. The Association has just been granted £11,000 from European funding towards a feasibility study and route investigation, the aims of which are to "fill in the gaps" in the fragmented provision and provide more off-road leisure opportunities for horse riders, carriage drivers and mountain bikers - not only for people living in the locality but also for visitors to the area. The first investigation phase will take place over the next 6-9 months and will provide a costed action plan for implementing the proposed route. Then the Association will be working with other partner organisations to secure further funding to make the plan a reality.